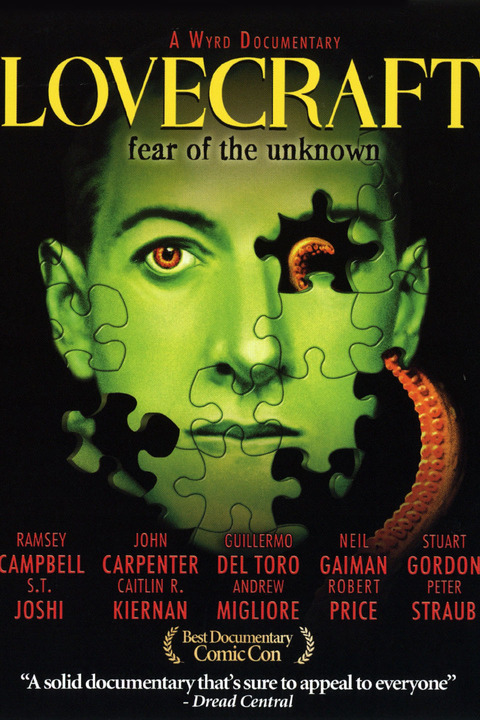 Lovecraft's Fear of the Unknown is a 2008 documentary film that looks at the life, work and mind behind the Cthulhu Mythos. The film features interviews with Guillermo del Toro, Neil Gaiman, John Carpenter, Peter Straub, Caitlin R. Kiernan, Ramsey Campbell, Stuart Gordon, S. T. Joshi, Robert M. Price and Andrew Migliore. Written and directed by Frank H. Woodward. Produced by William Janczewski, James B. Myers, and Woodward. 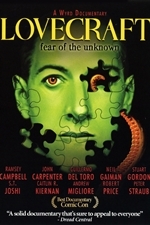 Lovecraft won Best Documentary at the 2008 Comic-Con International Independent Film Festival. It was the official selection at: Cinema Du Parc in Collaboration With The Fantasia Festival 2008; Erie Horror Film Festival 2008; Buenos Aires Rojo Sangre Festival 2008; Shriekfest Horror Film Festival 2008; The H.P. Lovecraft Film Festival 2008; TromaDance 2009 and Porto Alegre, Brazil's Fantaspoa Festival 2009.